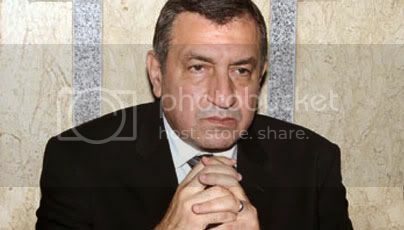 Essam Abdel-Aziz Sharaf academic and political Egypt commissioned on 3 March 2011 by the Supreme Council of the armed forces to form a new Egyptian government after the resignation of Ahmed Shafiq. Received the honor a master's degree and doctorate from the United States in the Eighties of the last century the jurisdiction of the engineering and management methods, and is one of the Arab and international experts in the field of transport, with research in this area in search of nearly 160. Took the honor of the Ministry of Transport in the government of Ahmed Nazif in 2002 before it comes out in 2005 to protest the lack of political will to resolve the problems of transportation in Egypt in the wake of train crash Qaliubiya. Following his resignation he returned to his academic honor a professor in the Faculty of Engineering, Cairo University, also took over the chairmanship of the Steering Committee of Engineers Syndicate in Egypt. Founded with other members of the Association «the age of science», which participate in the membership of Dr. Ahmed Zewail - Nobel Prize winner - Dr. Mohamed ElBaradei, former President of the International Agency for Atomic Energy. Participated in the sit-ins honor Tahrir Square, which was the reason for forcing President Hosni Mubarak to step down, making it one of the few former ministers who have declared their support for the revolution of January 25 since its early days. There were also reports of his nomination by the youth revolution of January to take over the presidency of the transitional government after the resignation of President Mubarak in February 2011.